LEGO has announced that LEGO Digital Designer (LDD), the company’s proprietary virtual building program, will no longer be updated. New parts may occasionally be added, but LEGO is officially defunding the platform. Yesterday Kevin Hinkle, Community Manager for the Americas, posted the following announcement on the LEGO Ambassadors private forum. Although it’s been clear that LDD has not been a priority for the LEGO company for some time, with the latest version update to 4.3.8 in December 2013 and the last parts update in fall of 2014, this announcement sent shock-waves through the LEGO community. The online community was quick to respond as fan websites were inundated with upset LDD users. It was clear that LEGO had kicked the LDD ‘hornet’s nest’ with the sudden announcement. A second announcement from LEGO’s Community Support Senior Manager, Tanja Friberg, quickly followed. This announcement sounded slightly more positive but perhaps does not entirely remove confusion. 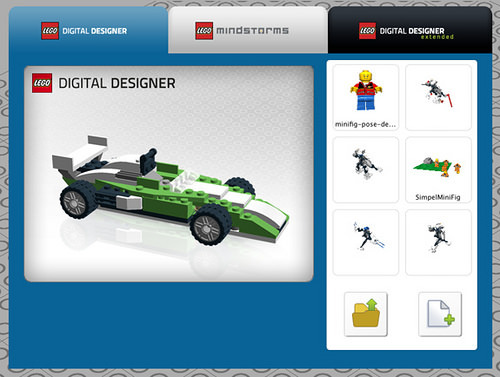 So, to summarize: LEGO will allow LDD 4.3.8 to continue functioning but will no longer automatically update LDD. The addition of new parts remains uncertain aka “time to time.” Given that LEGO has stated that they are “committed to digital building,” it does seem likely that LEGO has another digital design program in the works, and that this is simply a case of poor product release management by announcing the cancellation of support for the old product before the new product is announced. We’ll be sure to bring you the news if we get confirmation of any new programs. There are alternatives available but these tend to have a higher learning curve. Most of the alternatives do not have the ‘click fit‘ that LDD users found particularly useful as this resembled actually building with bricks. Some programs are operating system specific but most downloadable software utilise the LDraw library. The good news is that LDraw team continues to release regular updates, with the latest core software update on November 22 and the latest parts update on December 30. This is not an exhaustive list, but these are some of the better-known programs in the LEGO fan community. LDraw – A freeware program which can create Lego models in 3D. Windows/OSX/Linux. Mecabricks – Mecabricks is a web service to publish and display 3D models made with LEGO bricks. No need to install any plugin or software. All operating systems. The response from so many groups I’m apart of is of dismay regarding this new. Yes, there are alternatives, and some of them are more powerful. But; and as stated in this article, the brick snap option, made it stand apart. I’ve had a play with LDraw, and honestly, by the time I got it to a working point I was then over wanting to use it. Let alone having to line things up when I just want to play. Mecabricks looks quite good, I only started playing with it yesterday, but again, collision detection/snap to. Get those two things in place and it could be a winner. I’m not even so concerned about the “latest” elements. Just ease of install, and more importantly ease of use. Hopefully there is another Lego designed design product coming…but if so, why would the news be released like this? @Sixpax: We also hope another official program is coming. As far as why this news is coming now (and in this manner), is because LEGO likely intended to let LDD slowly die, forgotten and unmentioned. However, a number of the Ambassadors pushed for an answer as to why there seemed to be a lack of updates, and eventually got this response. I use LeoCAD, which isnt mentioned here. Its not perfect but has some snap and useful tools. I’ve had issues with later versions (you could no longer scroll through elements with the arrow keys) but version 0.79.3 is fine. There is a high confusion about LDraw and its editors. LDraw is not a program but mainly a library of parts. You need an editor to use this library. Bricksmith (Mac), MLCad (Windows) and SR3D Builder (Windows) mentionned in the news are LDraw editors, but there are several others, such as LeoCAD (Windows and Linux) as mentionned by Breaker, and my own favorite, LDCad (http://www.melkert.net/LDCad). SR3D Builder and LDCad do have connectivity/part snapping. LEGO! Would you please consider open-sourcing the LDD program? Let the community take it over? Please? It can’t be open-sourced as it is actually a third-party building design tool that has been extensively redesigned to support Lego bricks instead of conventional construction parts. @akersj – I suspected something like this (at least some proprietary libraries preventing open-sourcing). Do you know which tool LDD was based on? Guys, SR3D is unsupported and discontinued because creator of it sadly died a 2 years ago. RIP Sergio Reano. @BlacKHeaDSg1: Oh, I’m sorry to hear that. It’s been a few years since I last tried it, but I was rather impressed with it when I used it. @Philo: You are correct. Thanks for pointing that out! Obviously you can tell we’re not digital builder masters. Echoing Breaker, LeoCAD ( http://leocad.org/trac ) has worked very well for me and is open source. It’s what I used to model my floppy machine ( https://retracile.net/blog/2015/07/30/01.30 ) for instance, and for some of the work behind my brick built nameplates (https://brickbuiltnameplates.com/ ). LeoCAD is cross-platform, though I’ve only used it on Linux. If you’re looking for an alternative to LDD, check out LeoCAD. Personally, I like LDCad (http://www.melkert.net/LDCad) and it’s pretty good with part snapping. It’s actively being maintained, which was one of the criteria I was looking for in a LEGO CAD program. 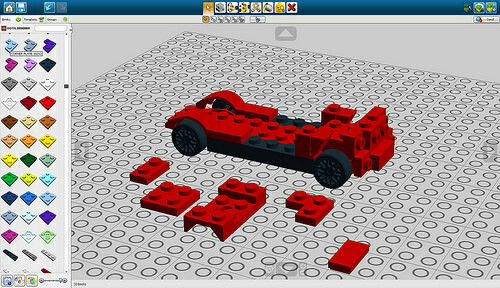 I was curious about different LEGO design programs not too long ago and blogged about the different ones that I ran across (http://jasonmcreynolds.com/?p=507). It’s by no means comprehensive, but hopefully it’s useful to someone if you’re curious about different features of the following programs: LDD, LDCad, MLCad, JBrickBUilder, LeoCAD, MOC Builder, SR 3D Builder. I’ll admit it took a little getting used to, but once I figured some stuff out it really grew on me and there are some cool things planned for future releases. Ugh, bummer. How easy would it be for Lego to maintain this.